accomplish this we must compare the velocities of light in air and in some denser, transparent medium—say water. Now, the greatest length of a column of water which still permits enough light to pass to enable us to measure the very small quantities involved is something like thirty feet. perhaps several miles; the first, after it had passed through only a few feet of wire. 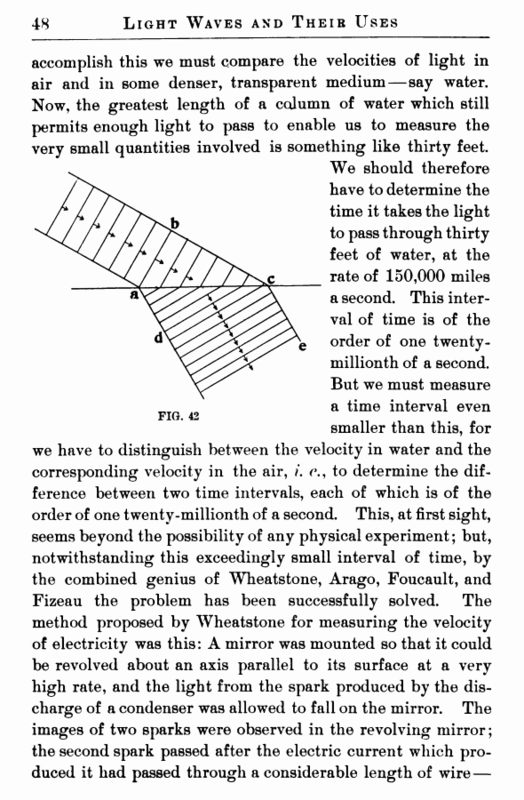 If the mirror in this interval had turned through a perceptible angle, the reflected light would have moved through double that angle; and, knowing the velocity of rotation of the mirror, and measuring this small angle, the velocity of electricity could be determined. 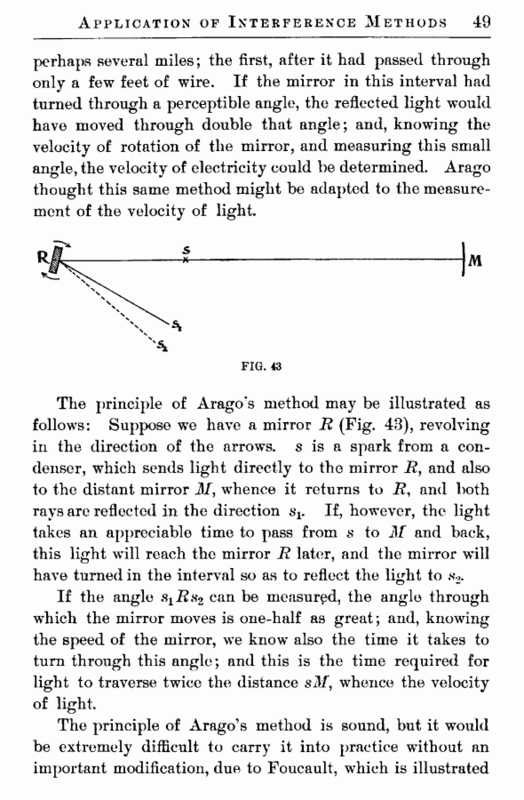 Arago thought this same method might be adapted to the measurement of the velocity of light. If the angle sxRs2 can be measured, the angle through which the mirror moves is one-half as great; and, knowing the speed of the mirror, we know also the time it takes to turn through this angle; and this is the time required for light to traverse twice the distance sM, whence the velocity of light.